ARTO Billboards executed a turnkey street advertising campaign in collaboration with artists IHC, Pepe Lepop and Meiz Vew, using different materials and techniques in each of the billboards intervened. As part of the parallel activities of Latin America's most important contemporary art fair, Zona MACO, ARTO Studio produced a large scale mural in Mexico City's downtown created by New York famous conceptual artist Lawrence Weiner. This was a collaboration for his exhibition Forever & A Day. ARTO Studio, in partnership with one of the most important contemporary fairs Latin America, produced this large scale mural by one of the most important conceptual artists of out time. 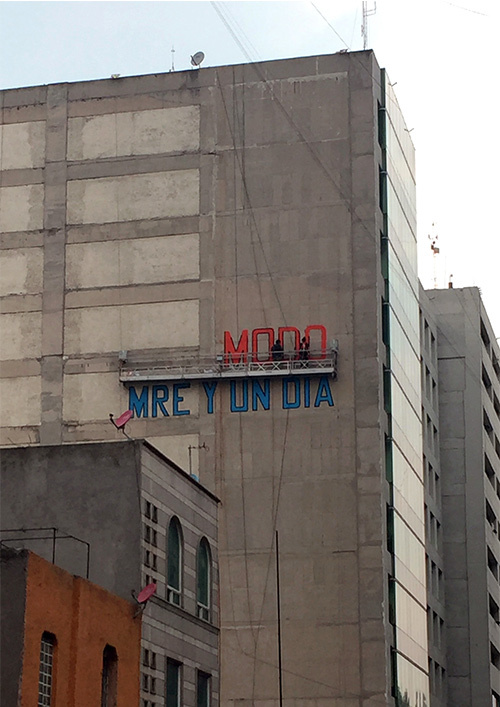 The Lawrence Weiner wall is located in Mexico City's downtown. It took almost three weeks to produce and now it remains as a legacy for the city.